Our award-winning Graduate Pathways to Success (Pathways) program is a palette of non-credit workshops, seminars and other activities designed to complement your graduate program's academic curriculum and mentorship experience. Graduate School Success: Skills in academic writing and applying for funding, for example, help you to complete your program successfully and graduate in a timely fashion. Self Management: The ability to manage stress and time are among the many needed to help you achieve balance in life and effectiveness in educational and work environments. 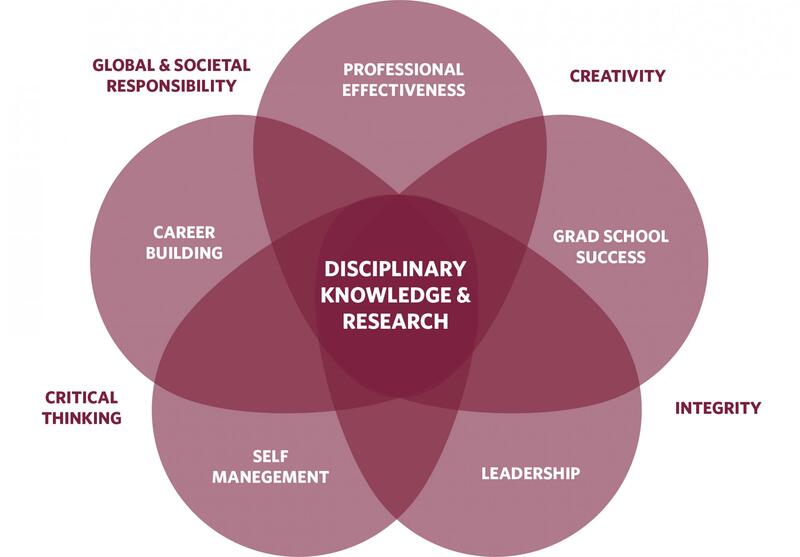 Professional Effectiveness: Success as a professional, whether in academia or outside, requires a range of skills and knowledge related to areas such as communication, management, interaction with people, and ethical conduct. Career Building: A proactive approach to career preparation involves investigating options, developing competencies, and learning how to present yourself for career opportunities. Constructive Leadership: As professionals, you will likely be (or already are being) called upon to lead others. Acquiring leadership skills and learning from accomplished leaders will contribute towards your success as a constructive leader. Integral to all the above areas is development in critical thinking, creativity, integrity, and a recognition of our global and societal responsibility. We invite you to participate in our workshops and events, and to use The Graduate Game Plan, the Guides and the Graduate Pathways to Success Resources. Check our Calendar of Workshops and Events. The Graduate Game Plan provides advice and guidance for graduate students at all stages of their graduate careers. We encourage all graduate students to read and follow the suggestions provided, whether you have just arrived at UBC, or are well into your program. Don't get lost in your graduate journey, just follow the steps to cross the finish line successfully! We have assembled many guides that will help you with your studies, and provide advice for developing personal and professional effectiveness and career planning. If you're looking for information, ideas or contacts, you may find exactly what you need.